Want candi sugar for your sugar addition? Raleigh Brewing Company's recipe for The Toll, an Imperial Oatmeal Stout. Formerly known as The Miller's Toll, this GABF-winning Imperial Oatmeal Stout is a nod to the last and longest-standing operational mill in Raleigh, the Yates Pond Mill. Our homebrew clone kit of this award-winner and fan favorite has all that you'd expect from the real thing: The beer pours thick and black, and starts with the seductive scents of dark fruit, smooth chocolate and well-kilned malt. The first sip is more of the same, with a hint of sweetness and an alcoholic punch to round out the finish. A stout worth celebrating! Please note: This beer can be a beast. You may need a bigger mash tun or brewpot than usual. The instructions we provide are a simplified version of the steps you will go through during your brew day. Our instructions are based on brewing this beer with our small shop system, or our personal brewing equipment. Some steps can be changed to fit your brewing equipment and processes. 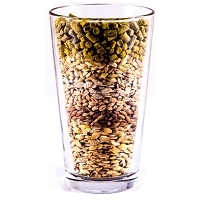 There may be some differences in your own brewday and beer. Cheers!